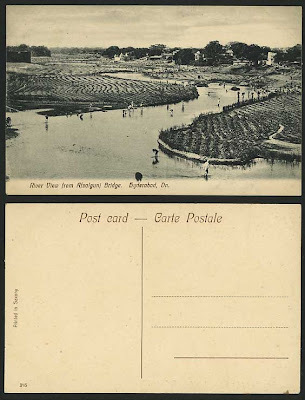 India Vintage B/W British Indian Picture Postcard, Panorama of River View from Afzalgunj Bridge. Hyderabad. Dn. 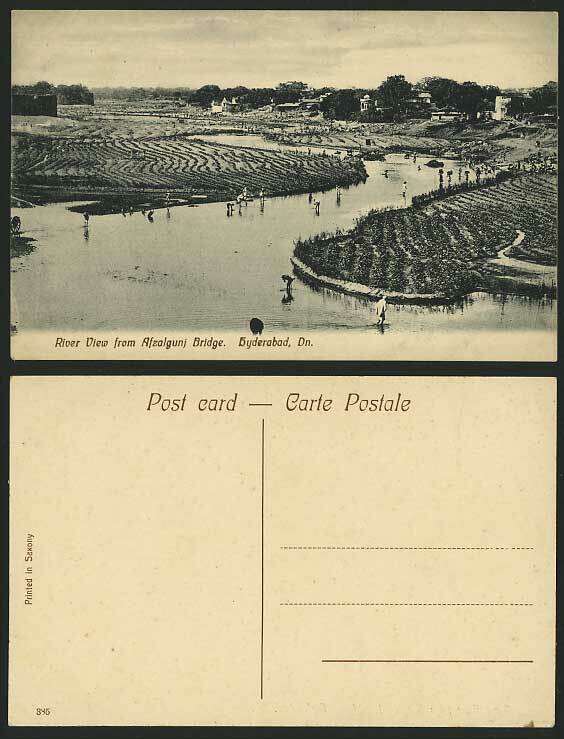 Natives bathing in the River. General View. Panorama. THIS BLOG claims no credit for any images/photos posted on this site unless otherwise noted. Images/Photos on this blog are copyright to its respectful owners. If there is an image appearing on this blog that belongs to you and do not wish for it appear on this site, please E-mail with a link to said image and it will be promptly removed. Enter about the Blog here.